The way people work has changed. Today’s mobile workers expect seamless access to data and applications from any device irrespective of location. For IT, this means finding a balance between giving users the access they demand and maintaining security. 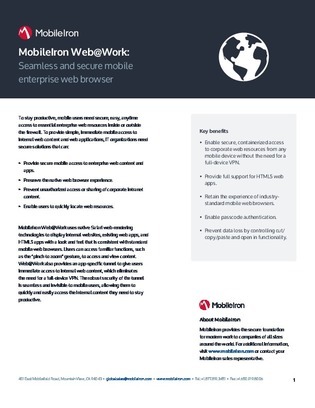 Click this resource to discover an enterprise mobile browser that enables immediate, secure access to internal websites and web apps, while adhering to security practices.